Hide deals from seller "Golf Almighty"
Hide deals from category "Golf"
Limit 1 per person and 1 per transaction. Valid on private and group golf lessons. By appointment only. Full value of Gift Certificate must be redeemed in 1 visit. 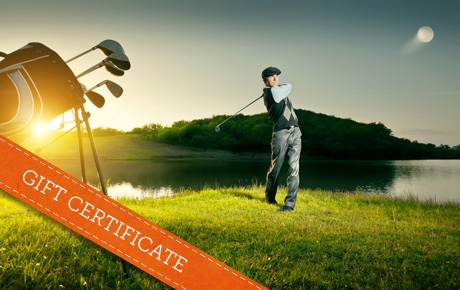 Swing into some fun with this deal for 50% off a $300 Gift Certificate to Golf Almighty in Chicago's Lakeview East. Refine your golfing skills with private lessons, or plan an enjoyable outing for family or friends with group lessons. For more than a decade, Golf Almighty has been working with golfers to improve their game. Regardless of your age or experience level, Golf Almighty will transform your love of the sport into skills you can use on the course. Private, 1-on-1 lessons will help the instructor hone in on specific areas of improvement, and group lessons can provide a comfortable atmosphere with friends. “Putt” your skills to use with this golden offer. A golf club in Chicago's Lakeview East that offers private golf lessons.